When Amber Raskin decided to bring her two children home from public school, she had no idea how her insights would revolutionize education. She valued time with her family, and wanted them to discover and develop their talents and abilities in an organic homeschool environment. She observed that schools were not preparing children for the 21st century workplace, and she wanted her children to have unique opportunities to flourish academically, socially, and emotionally. As a graduate of California State University at Long Beach, Amber had traveled the world, often with kids in tow, and was working hard to bring an international perspective to her family. Amber decided to create a charter school so that access to innovative, relevant education would be accessible to a wider range of learners. And that’s when she met Dawn Evenson, another devoted mom who highly valued personalized learning. She also happened to be an educational and administrative leader extraordinaire. Through a simple online job posting, the two forged a lifelong friendship and educational partnership devoted to best practices in learning. 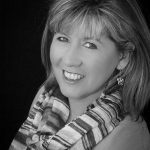 Dawn, who had received awards in her 31 years of educational experience, was on her own journey to create a learner-centered, personalized education system that would help jump-start a revolution in current educational practices. Dawn’s heart for families, combined with her experience in curriculum, instruction, and school leadership, was an amazing asset to building their educational dream. 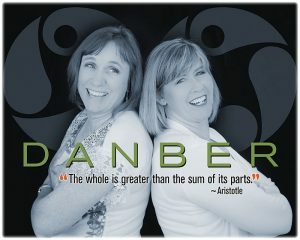 Affectionately known as “Danber,” Dawn and Amber are passionate about creating educational options for families that are innovative, engaging, and supportive. In 2008, SCVi (a site-based charter school in the Santa Clarita Valley) was opened, leading to the creation of iLEAD Schools and multiple other site-based programs. In 2015, iLEAD Exploration, an independent study program serving multiple counties in southern California, began as a result of Dawn and Amber’s passion for personalized learning, and iLEAD Exploration has been flourishing ever since. Dawn and Amber’s compassionate, open leadership enables families and educators the flexibility to collaborate and work together to create viable solutions in home education. Amber Golden Raskin is a veteran charter school founder and operator as well as an accomplished television producer with expertise in school governance and business management. In addition to serving as the executive director of iLEAD Schools Development, she sits on local community boards and aspires to make her local and global community all that it can be. She has advocated in both Sacramento and Washington, D.C. for community, safety and educational issues. A graduate of California State University at Long Beach, she has traveled the world, and has worked hard to bring an international perspective to her family. Amber decided to create a charter school so that access to innovative educational instruction would be accessible to a wider range of learners. SCVi, the first independent site-based charter school in the Santa Clarita Valley was opened in 2008, leading to the creation of more schools and eventually a Charter Management Organization. Before education, Amber worked in the television industry as a producer responsible for creating hundreds of hours of network television. She was responsible for multimillion-dollar budgets, hiring staff, and the start-up of new companies, including work in payables, receivables, and a host of other management activities. While in television, she managed several different staffs of 100 people, and in her current position, she oversees 400+ employees, developing new programs, procedures and processes to support the innovative schools in the iLEAD Schools network. 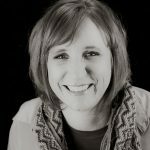 Amber is a systems thinker with a deep understanding of the creative process and believes that the systems, budget and processes in any organization should conform to the people and human behavior that use them, rather than the other way around. An entrepreneur and innovator at heart, Amber is increasingly being asked to speak at various events regarding making a difference and educational reform. Dawn Evenson currently serves as the Executive Director of Education for iLEAD Schools Development. Mrs. Evenson has over 29 years experience in education and has substantial experience and expertise in K-8 curriculum, instruction, assessment, school leadership and governance. She has been a teacher and school administrator in both primary and secondary schools. Dawn has held several positions in the Association of California School Administrators, including serving as the Region XV president. She was awarded the 2006 Middle School Principal of the Year Award by ACSA Region XV. Dawn is a founding administrative member of the SCVi team. She is passionate about creating educational options for families that are innovative, engaging, and supportive. Her mission is to provide equal opportunity by creating relevant, high-quality educational experiences for all learners. Dawn grew up in Sandpoint, Idaho, a small, artsy town in the Pacific Northwest. She completed her undergraduate degree at Whitworth University in Spokane, Washington. Armed with a strong desire to teach and wanting to experience more diversity, she packed up her belongings, set out to change the world and moved to southern California! She currently resides in Lancaster, California, with her scientific husband (also an educator) and three talented daughters. She has learned a lot through her experience as a mother and as an educator riding the many bumps along the road of education. Dawn believes in living a positive life that uplifts others. She loves a good challenge and is a cancer survivor. She is also experienced in the challenges of charter school start-up, setting culture, development, governance, and sustainability, and she has led the schools to achieve their strong record of growth and achievement.